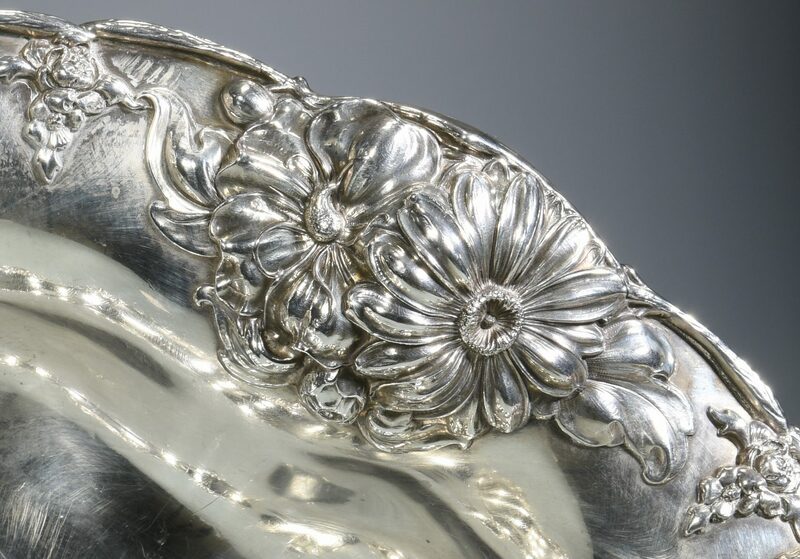 Gorham sterling silver low center piece, oval form with raised floral repousse decoration to the rim. 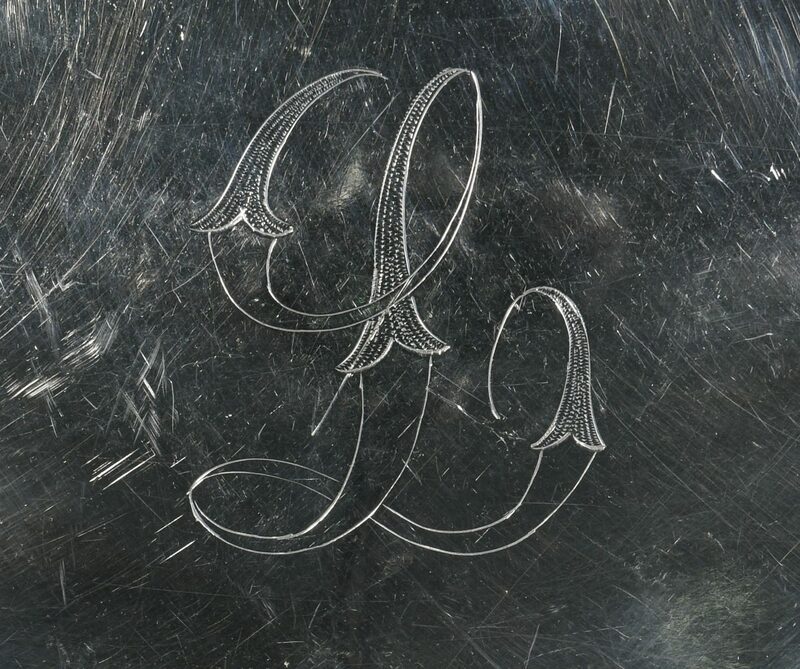 Center "L" monogram. 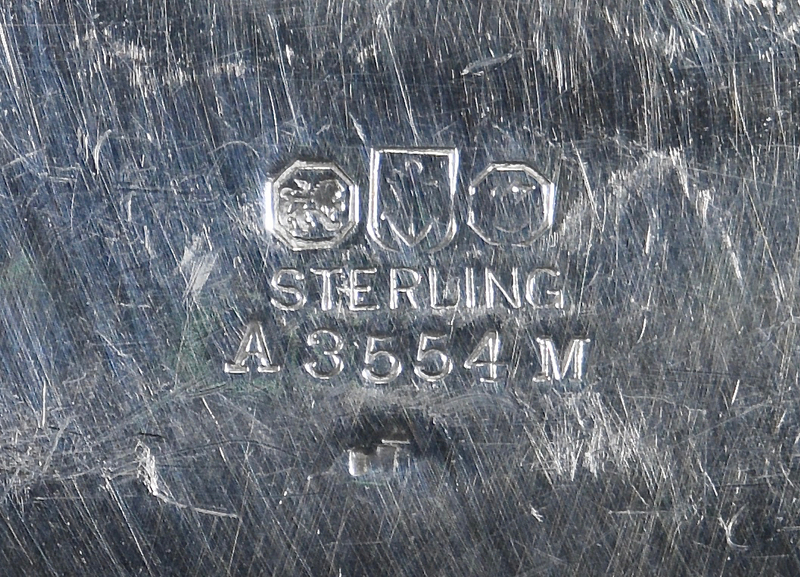 Base with Gorham hallmarks, "Sterling & AA3554M". 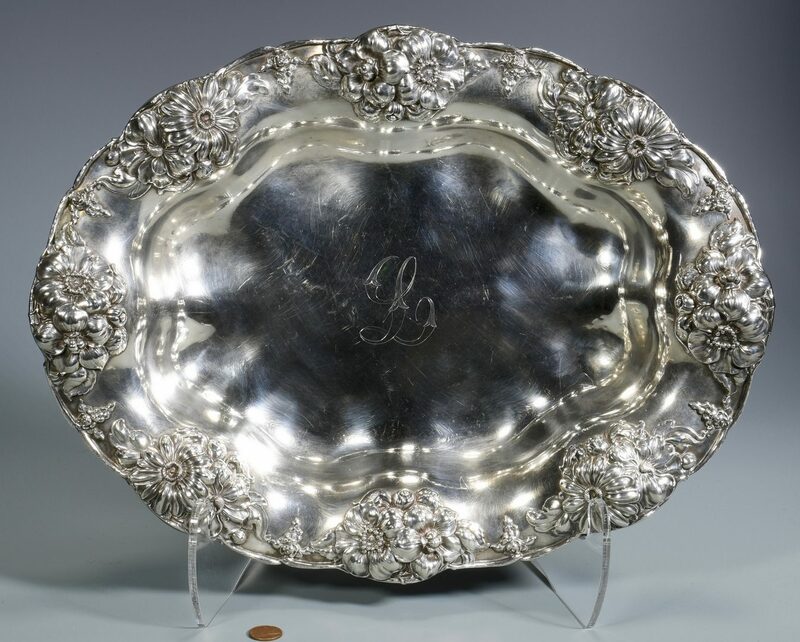 16 1/2" L x 12 1/2" W. 33.895 total troy ounces. 20th century. 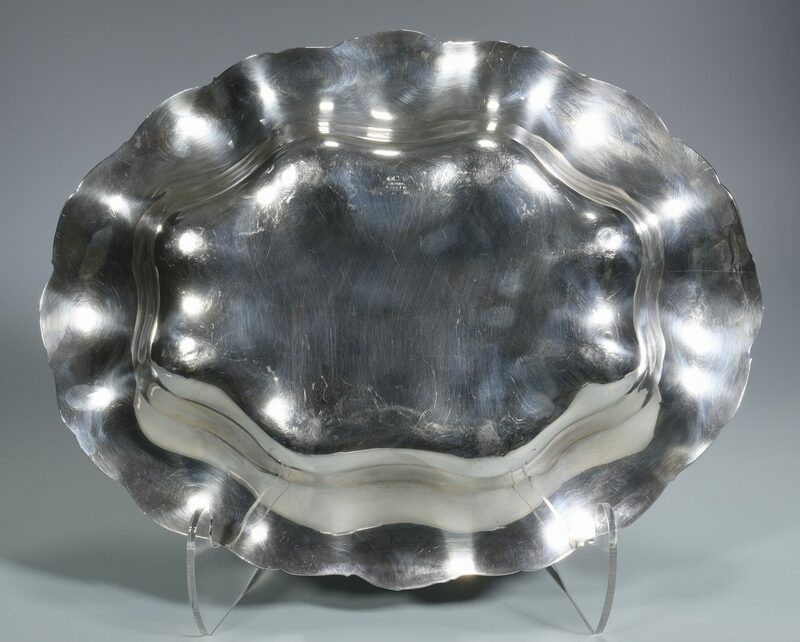 CONDITION: Overall very good condition with minor surface scratches.